Comment: Our bid for a brand new remodel of a 1938 house was accepted. We need to inspect the remodeling project which we just learned was done without permits. 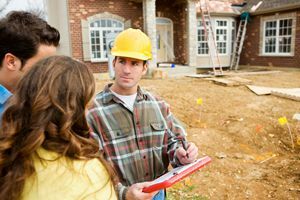 We need to assess the quality of the remodel, the HVAC, electrical, plumbing, roof, systems, and the entire house and fixtures to determine if we should continue wth the purchase. Comment: I need someone to do roof inspection to see what is wrong. Comment: I need a home inspection for I am buying. Burbank Home Inspectors are rated 4.70 out of 5 based on 580 reviews of 36 pros. Not Looking for Home Inspection Contractors in Burbank, CA?